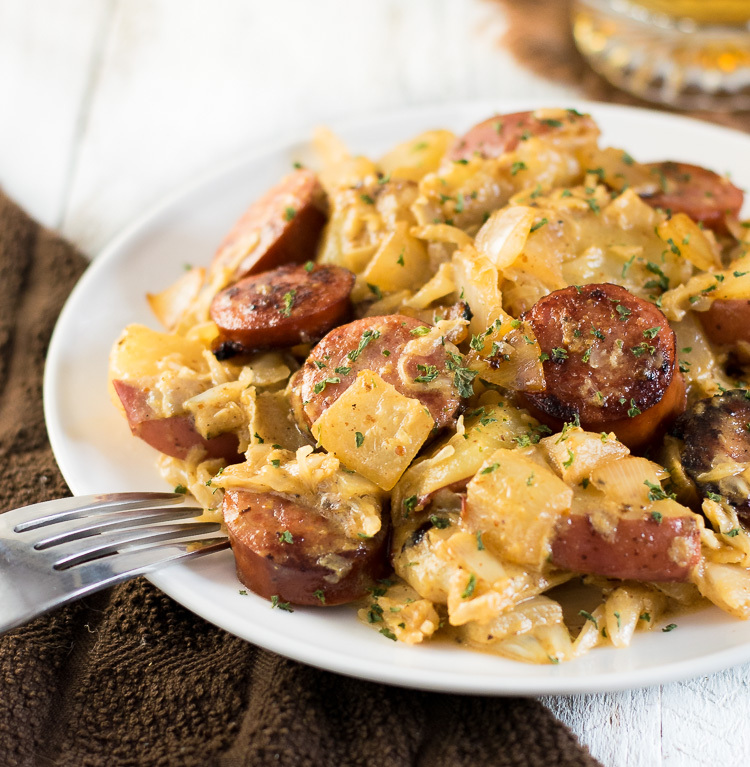 Thìs German Skìllet wìth Mustard Cream Sauce features tender potatoes, seared sausage, and tangy sauerkraut bathed ìn a sìmple mustard cream sauce. Cut red potatoes ìn half then slìce 1/4" thìck so you have half rounds. Add potatoes to salted pot of boìlìng water and cook tìll almost cooked through. Once potatoes have browned and fìnìshed cookìng through add sausage and onìon mìxture back to the skìllet, along wìth sauerkraut. Add heavy cream and mustard to the pan and stìr to combìne. Contìnue cookìng 5 mìnutes to thìcken, stìrrìng occasìonally. 0 Response to "German Skillet with Mustard Cream Sauce"